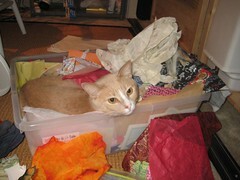 I teach a once-a-month art quilt class. The January assignment was to create a quilt of your intentions/affirmations/resolutions for 2009. Here's mine. 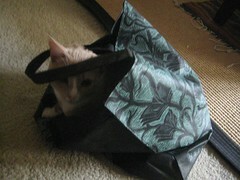 This bag was in the kitchen, last time I looked. Now it's in the living room with a cat inside. Buddy is such a help in the studio. I wanted to try sketching a flower everyday to chronicle the stages of a blossom. I should not have picked a rose, especially a yellow rose. 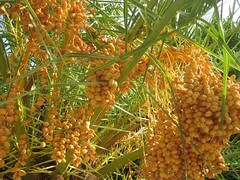 (too hard to shade--it turns the yellow to green or murky.) Next time, I go with a tulip, much easier. 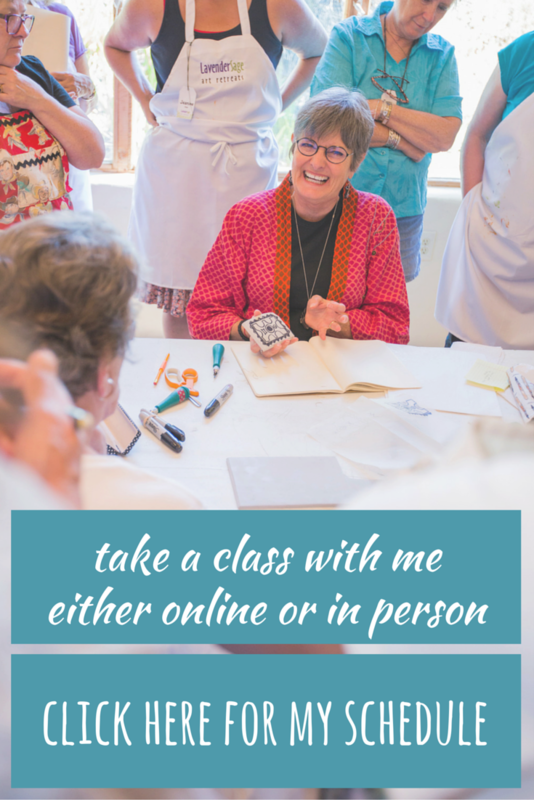 Here's my teaching schedule for Art Unraveled! 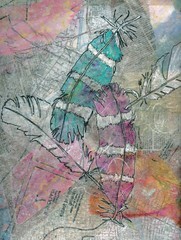 Create a truly mixed media piece by collaging paper on to cloth. 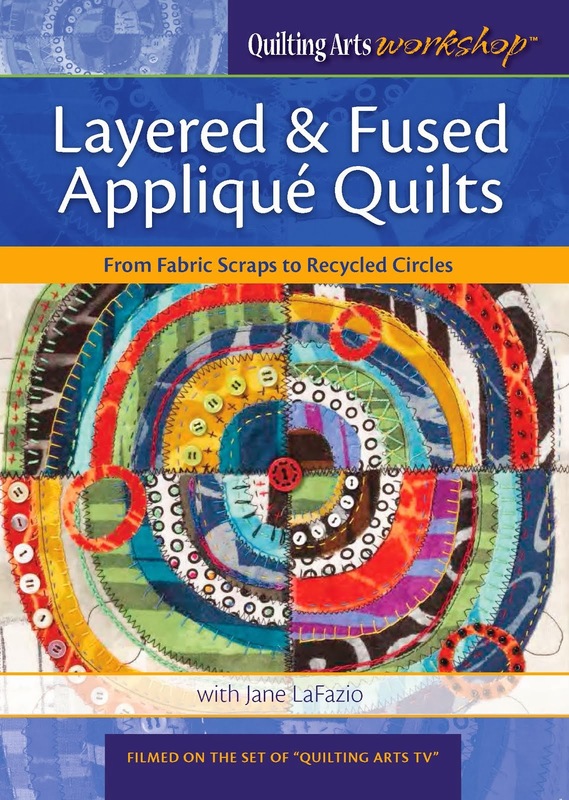 ( Jane’s techniques were featured in the magazine Cloth Paper Scissors March/April 2008 and in her appearance on the third season of Quilting Arts TV.) 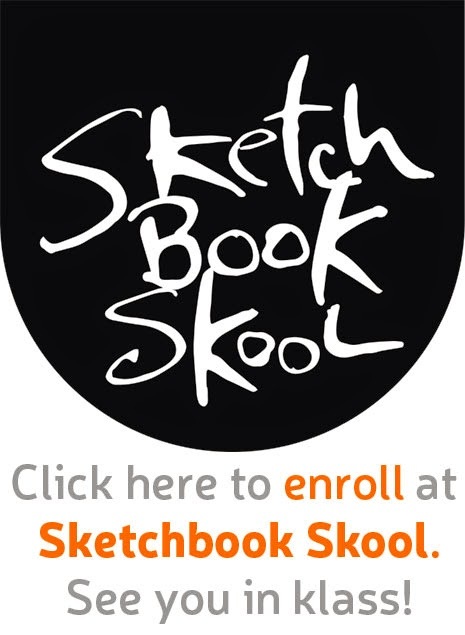 In class, we’ll paint and use a variety of textures to create our backgrounds on uncoated canvas. 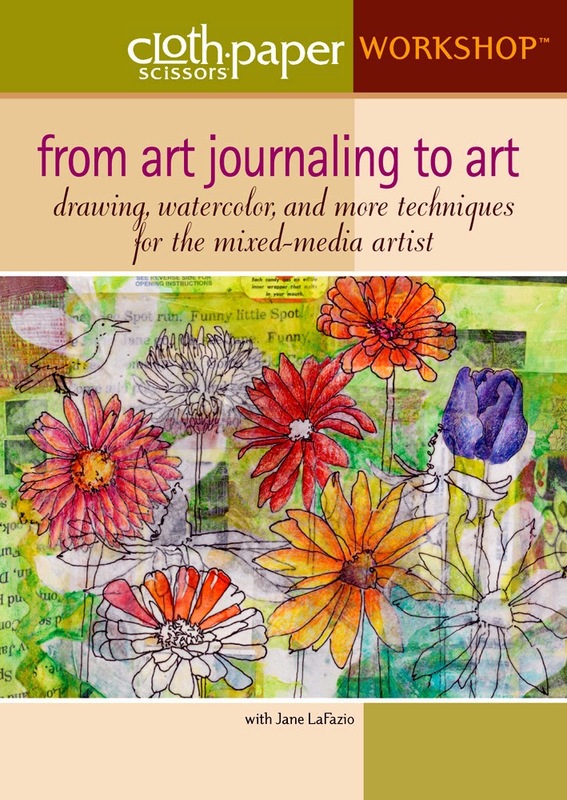 Then Jane will show you easy ways to transfer (copy) or draw your image onto the canvas. Once you’re happy with your design, you’ll collage it with a wild mixture of different types of paper and finish it off with painted and stamped and sewn details. You’ll work on three collages at once, so you might want to have a theme (or not!) 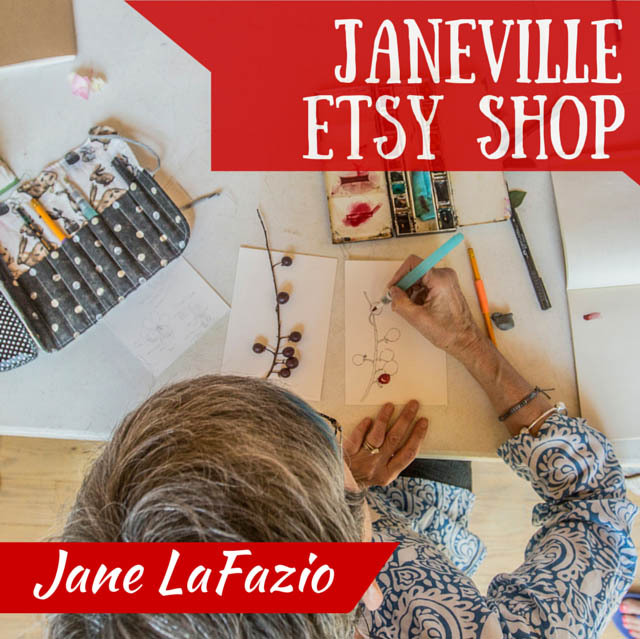 Jane will show you lots of mixed media techniques to inspire you. At the end of the day you’ll have three paper and cloth collages, with the option to machine or hand-stitch additional texture at home. 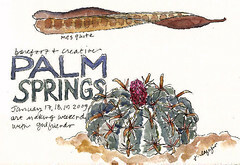 Spend the morning drawing and painting outside on location at the gorgeous Desert Botanical Garden in Phoenix. 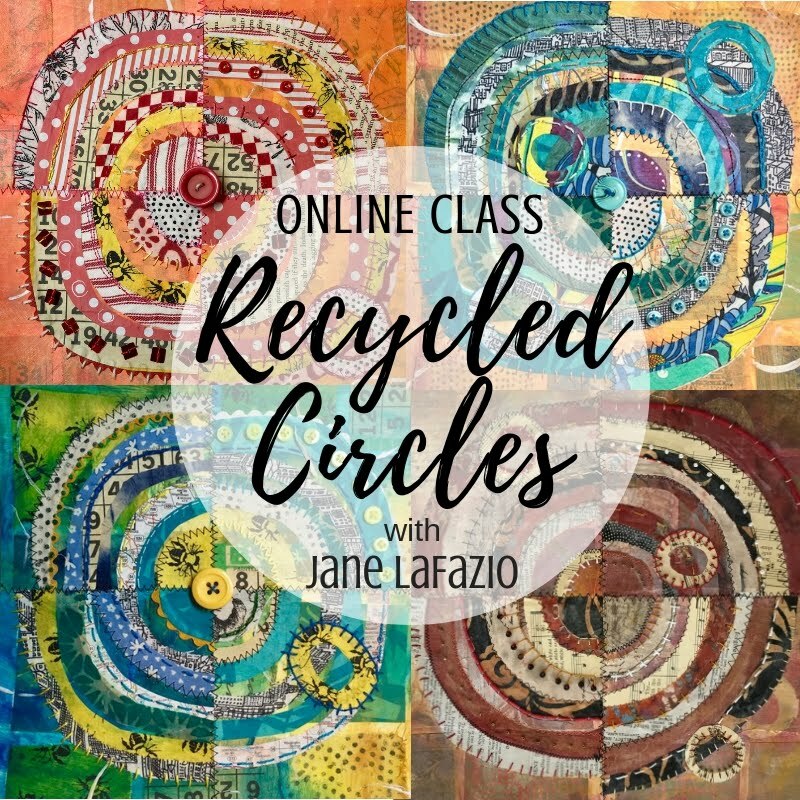 Jane will show you how to select subject matter and hone in on the pertinent details, yet simplify your drawing, so you can capture your impression of the scene quickly. 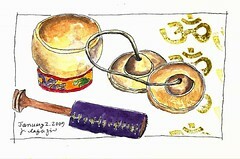 She’ll demonstrate drawing on location, and the use of watercolors using a straight-forward, intuitive approach. You’ll do at least 3 pages of your visit to the garden. 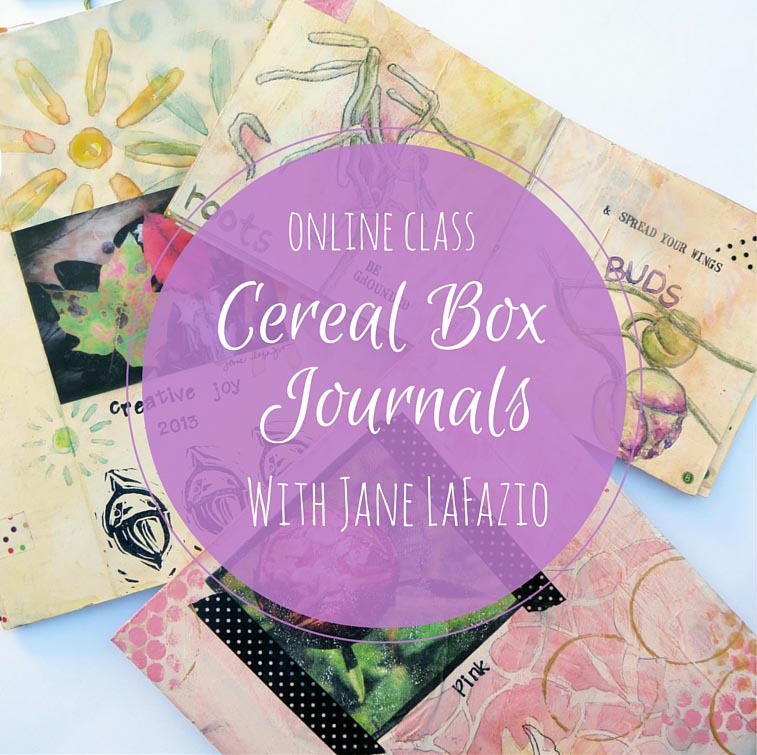 Jane will show you how to enhance your drawings with creative page layouts and journaling. We’ll carpool at 6:30 am to arrive at 7 am, when the garden is cooler and stay till 10 am. 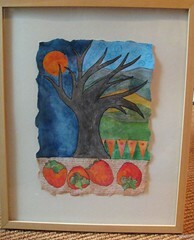 And I'll have my artwork for sale at the Shopping Extravaganza on Saturday, August 8. 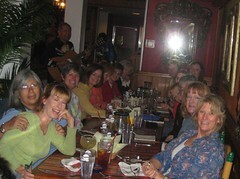 I'm posting a few pics of our Palm Springs weekend, and you can see the rest here. Helen, Susie, Jeannie and I spent the weekend at Jeannie's beautiful house in Palm Springs. We each were in charge of teaching the others an art project. 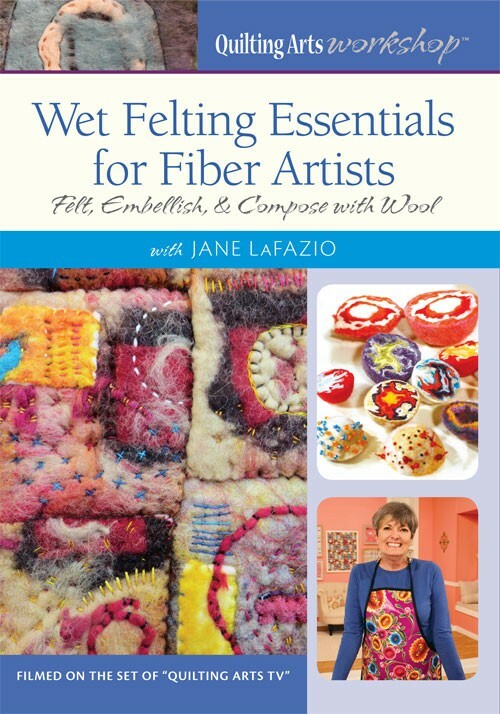 I started Saturday morning teaching wet-felting. 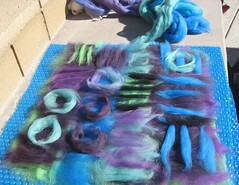 Here's my peice, with the wool roving laid out. Saturday afternoon, Helen taught us how to make these cool books, and here are the ones we created. Sunday morning, Susie led us in a drawing project called "Tree Spirits" where we drew a tree and then tried to see and draw the spirits or creatures our imagination found. 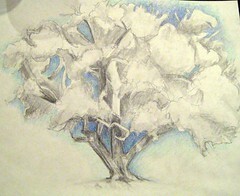 Here's my tree, graphite with a little color pencil. We took a long walk each morning. Here's me, Jeannie and Milo the dog. This is a few blocks from Jeannie's house in Old Palm Springs. After this hike on Monday morning, we packed up and headed home. Thank you Jeannie for hosting us! We had a wonderful, creative fun-filled weekend. 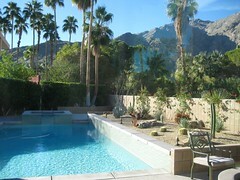 Jeannie's backyard in Palm Springs California. We four friends spent the weekend creating art. 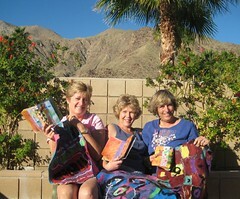 Jeannie (it was her house), Susie and Helen displaying some of the art we made this past weekend. I'll post more photos and details of the art projects tomorrow. 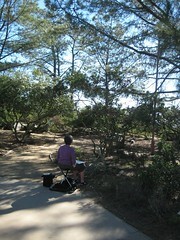 Husb and I spent most of the day at Torrey Pines State Reserve in LaJolla. I'm working on a sketch/watercolor commission for Julie and her husband. I got about 2/3 of it done today...darn, looks like I'll have to go back! 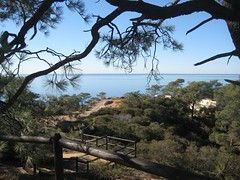 It was definitely the most beautiful day of 2009....This is another view from Torrey Pines State Reserve. 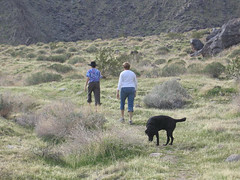 My new, new year's resolution is to walk every trail and visit either every 4 months or every week! It's about a 30 minute drive from our house. The SketchCrawl group met at Bazaar del Mundo, in Old Town for our first sketchcrawl of 2009. We got there a little before it opened, so we set up in the parking lot. 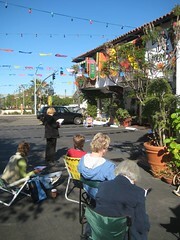 We had 16 artists, and a beautiful day and venue. It was a great way to kick off 2009! After a morning of sketching and painting, we walked over to Casa Guadalajara for lunch. Fourteen for lunch. We passed our journals around the table and had a delightful time! 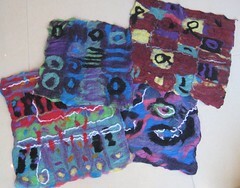 I'm teaching Art Quilt Explorations on joggles.com for 6 weeks starting February 5. 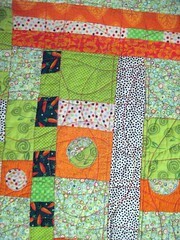 It's a great beginner class as we do a new small art quilt each week. 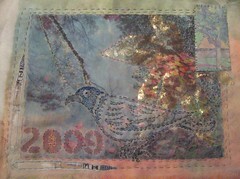 1) Landscape 2) Geometric Felt Quilt 3) Painted Quilt 4) Bird Theme Quilt 5) Shrine Quilt and week 6) Stamps to Stencils. All for only $75! More details here and registration info. My first ever functional quilt! A baby quilt for a friend's daughter. 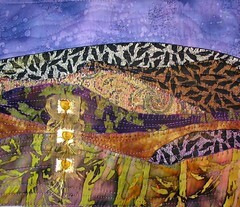 I've only made art quilts for the past 5 years or so, and this was a new experience. I broke my sewing machine in the process, but it's fixed now. 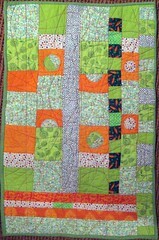 The back of the quilt is flannel, the same as the green border. Of course, I made up the design myself. Oh, and Larkin is a vegetarian, hence the carrot print. 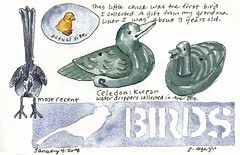 I thought I was nearly done drawing my bird collection, but then I realize I have a collection of tiny birds too, started in my childhood. The little yellow chick was the very first, a gift from my grandmother when I was 9 or so. 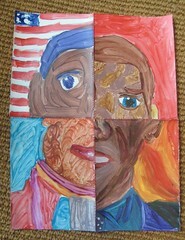 Here's that collage, repeated and group and rotated to make a pattern. I'm printing them both on an iron on transfer, and then to organza to see what I get. A collage I created a little while ago. Paper on Paper. Speaking of yoga, I try to take classes 3 times a week at RB Yoga. Great place, wonderful instructors. I realized recently that I've been practicing yoga for four and half years now. I love it! check these out, then come back here. My blog friend, Gil, over at Journal Craft has interviewed Danny Gregory. It's a very good interview and you've got to read what he gave his wife for Christmas. And my new blog friend, Jennie over at Meet Your Muse has a bit of my work and words on her blog. I used to keep the 'good' silver separate from the everyday sterling silver. What would I be saving it for? The 6-10 dinner parties we have each year? So, I mixed them all together in the kitchen drawer and we'll just use them!